After previously checking over external configurations, the wait is over, and we can now get down to the business of focussing on the internal workings of Formula 1 suspensions. We’ve seen how the positioning of the trackrods and wishbones affects the motion of the suspension; all that is left is to explore how the internals oppose that movement and therefore keep the car at the ideal attitude and altitude for the driver, the mechanics and for optimum car performance. The colour of the components in the following diagram indicates the position down the chassis of the car; it corresponds to order of the rainbow, i.e. red then orange are foremost and blue rearmost. It is worth noting that not all setups will use every component listed. Different circuits pose different demands on the cars and so some components may be surplus to requirement under certain circumstances. The centre damper (red): The centre damper (also referred to as the centre spring) is the part of the suspension that controls the motion of the car under heave (where both sides of the car want to compress, as seen under braking, or extend under acceleration). The damper is typically a spring (although hydraulic solutions have been used); the linear action works against the travel of the spring to damp the motion of travel and prevent the car from pitching and the nose raising or lowering. The damper also features a centre bump stop which limits the maximum travel. 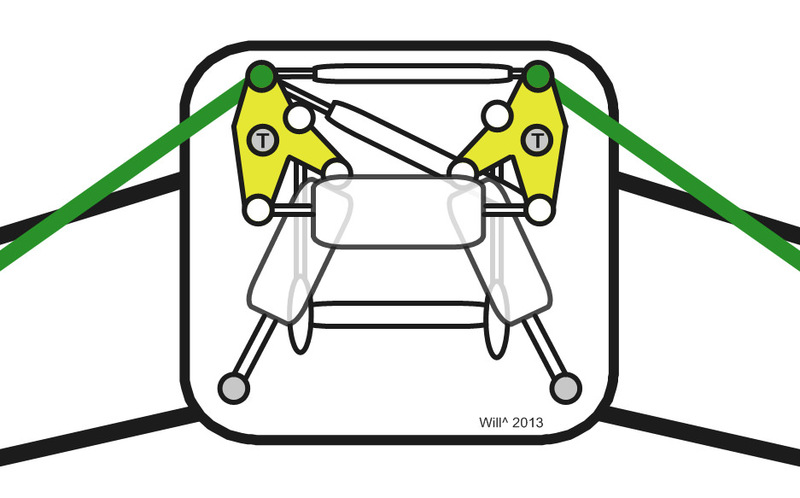 The position of this linkage does not affect the car when it tries to roll, as the linkage moves as the rockers roll with the motion. It would confuse the action of the suspension if the linkage used to dissipate the forces generated during heave also affected the travel of suspension during roll from side to side. 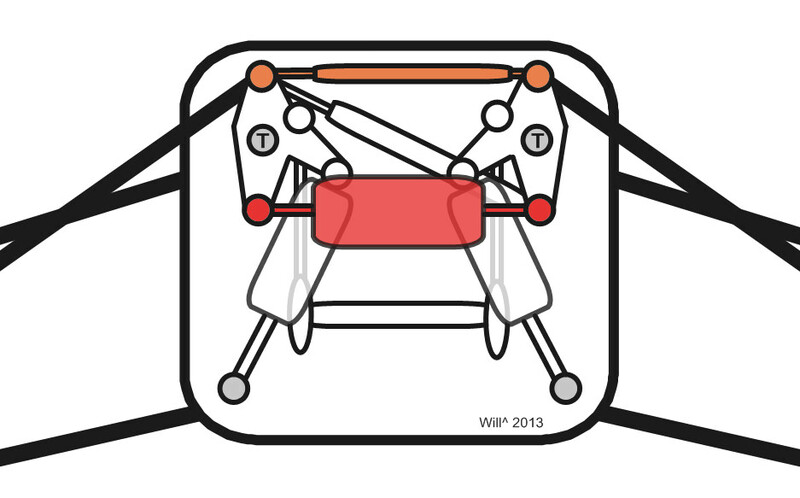 Torsion bar (orange): The torsion bar reaction linkage is the area of the suspension used to partly control the movement of the car under heave. It works in conjunction with the centre damper and is not a necessary feature on all set ups. It offers additional stiffening under heave by connecting the rockers together thereby utilising the torsion bars located at the pivot, but in doing so does not alter in the degree of roll-damping. Rocker (yellow): The rocker transforms the linear radial-motion of the suspension arm into a rotational angular-motion around the axis of the torsion bar. Being able to change the direction of the forces means the suspension can be packed tightly into the small chassis of a current F1 car. Additionally it allows various linkages to be made that can work together to counter different motions of the car, rather than requiring a separate torsion bar or spring for each motion. Torsion bar (T): The torsion bar (also referred to as the Outer Spring) provides the main resistance to the travel of the front suspension. 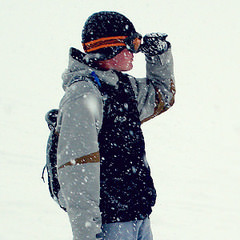 It is a hollow metal rod that when twisted acts as a spring would under the same forces. 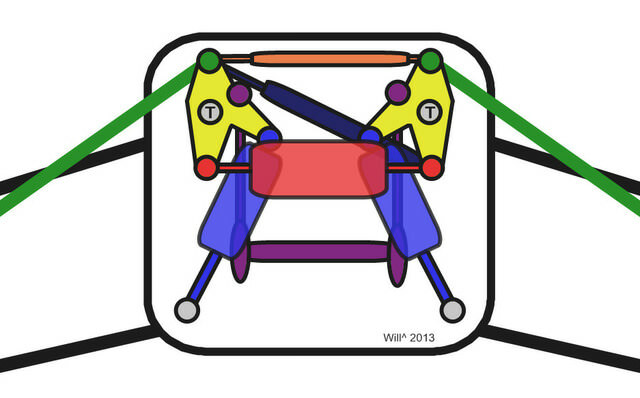 The rotation of the rocker tries to either wind or unwind the ‘spring’ (depending on direction of suspension travel) and as the bar resists this motion it absorbs the majority of the forces that are being transferred, thereby damping the suspension. 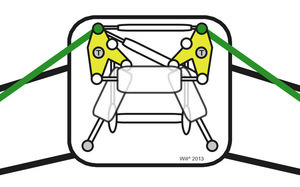 Suspension track-rod (green): The suspension track-rod (pushrod in this configuration) transfers forces from the outboard end of the suspension to the inboard components. As gravity pulls down on the chassis, trying to reduce the angle between car and wheels, the track-rod converts this into a linear motion in line with the other external suspension components. 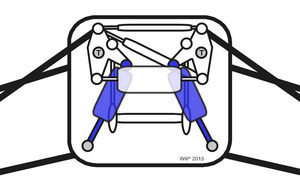 Outer damper (royal blue): The outer dampers work to smooth out motions of the suspensions independently from each other; they absorb the individual bump and bounce motions of the car as it travels over the unevenness of an F1 circuit, providing stability. Each damper has a set stiffness that dictates the rate at which it compresses/extends – i.e. the rate that it absorbs the forces and rebounds back. Additionally the dampers can be configured with the maximum and minimum extent of travel of each corner of the car so that the car neither bottoms out nor rises too high as the car crests. Although under high loading (or on a very bumpy part of a circuit) a car can be seen scraping it’s under-tray on the track, sparking as it goes. These dampers are typically sprung, but can also be hydraulic, particularly if the car is running a FRIC-system, as this is where the system is connected to suspension. Outer dampers are in some cases not required as the centre damper can do the job instead, it just depends on the circuit and/or car setup as to whether the damping is best separated between sides of the car or linked (as with the centre damper). Roll damper (navy blue): The roll damper is one way in which the degree to which a car rotates from side to side (particularly seen during cornering) is controlled; as the car is trying to take the corner, it will negatively affect both mechanical grip and aerodynamically generated downforce and therefore this axis of motion needs to be reduced. The outside of the suspension wants to compress, and the inside extend, as the body of the car wants to roll away from the direction of turn – the damper is compressed as the car takes one direction of corner and extended as the car turns in the opposite direction, which both absorb some of the forces that are trying to make the car roll thus limiting this action. 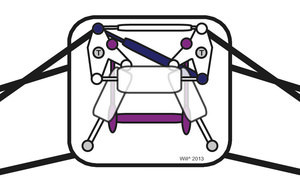 Due to this linkage being anchored on opposite sides of the respective rocker pivots, when the suspension heaves the damper moves with the motion, offering no cushioning to those forces. Anti roll bar (purple): The anti roll bar is another component that can be used to (as the name suggests) counter a rolling action. Typically either this or the roll damper is used on a car, although it is possible to use both in conjunction with each other but this is uncommon as it adds extra (and unnecessary) weight. In contrast to the way that the damper works, there are linkages that connect to the rockers and translate the forces down to a torsion bar which resists the motion when one end is twisted clockwise and the other anticlockwise. Under heave both linkages rotate in the same direction, which does not provide the opposing forces. There are other ways to configure anti roll; rather than using springs and torsion bars, it is possible to use the flexion of stiffened blades to counter the motion. It has been used in the past, but is rare (to unused) in recent seasons – it is more efficient on space and teams can have a stockpile of different fixed levels of roll or adjustable components, allowing far more variability of setup. When a car is travelling around a track it will not be experiencing independent motions in isolation. At each moment the suspensions will be experiencing forces in multiple planes, so it is important that the jobs of each component can be done in parallel – that is to say that the action of one component must not adversely affect the damping of another. It is worth also noting that this example of the components in a pushrod suspension can essentially be inverted if a car is running a pullrod configuration, as the system essentially works identically, just the other way up. The exact arrangement of the components (and size of the springs) would be slightly altered, as due to the different angles of the track-rods the resultant forces transmitted to the internals are also different, so would require different amounts of damping. 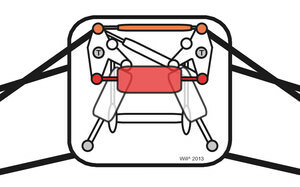 Rear suspensions tend to be configured with similar components, packaged around the gearbox in a similar configuration. As the teams are very secretive about their gearboxes it is hard to get a good idea of the exact layout of the rockers and springs at the back of the car, but we do know that they will perform the same functions in a similar manner. 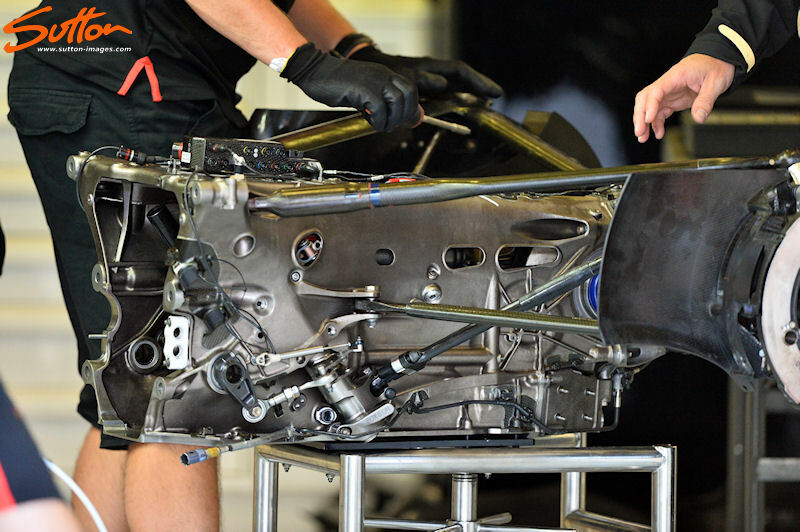 It is possible to make out the location of connections and the different angles that are utilised on this rear suspension of a Lotus, as it was being built ahead of the Belgian Grand Prix.